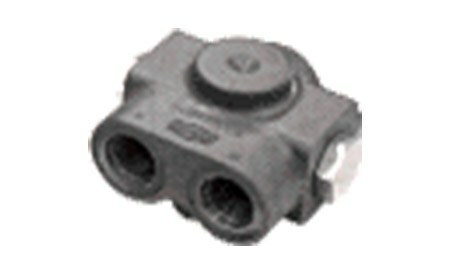 The Cross proportional flow divider is a biased pressure compensated flow regulator, specifically designed for use as a hydrostatic transmission anti-spin out valve. Various orifice sizes are available to provide required limited slip differential action. One or more units may be used per vehicle, dependent upon anti-spin out requirements in forward and reverse. The FD series is a proportional flow divider for use as anti-spin out valve for hydrostatic transmission.